I want my kids to be self reliant. 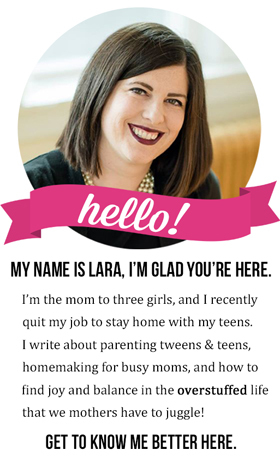 I try hard to give them as many ways to be independent as possible so that they are ready to head out into the real world when the time comes. Now that school is starting here in a couple days, I am working on teaching my kids how to pack their own healthy lunches. They've actually been packing their own lunches for a while now. Sophia has been doing her own since the first grade! I took over for a bit when Sophia had to go gluten-free, but I'll be honest: I loathe packing my kids' lunches for them. Maybe it's because I'm not a morning person or because I hate cooking in general, but it's not my favorite task. Last year, they took the lunch making process back for themselves. I enjoyed not having to get out of bed, and I loved that they were becoming totally self-reliant. 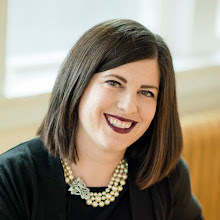 I felt I had taught them pretty good principles about how to pack a healthy lunch for school, but as the year went on I realized they were largely ignoring those principles. Bria would often throw two pieces of fruit in her lunch box and that was it. Sophia would do her best to take whatever homemade treat we had on hand in large quantities and take very little else. And I think Chloe may have lived on trail mix and string cheese last year. They survived. But I want them to have more food at lunch! Plus, I want to ensure that what they are packing is healthy. Eating the right kinds of foods is pretty vital to their success at school! 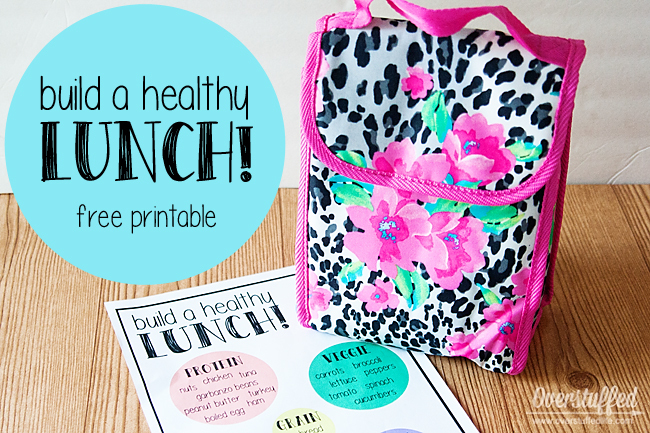 This year I came up with a printable that they can use as a guide to make sure they are packing the healthiest lunches they can. The idea is that they will choose one or two items from each large circle category (protein, fruit, veggie) and one item only from the small circle categories (grain, dairy, snack). Yes, I know "snack" isn't exactly a nutrition category, but Sophia has a snack time at her school and needs to bring something specifically for that. The other two can treat the snack as totally optional—the things in that category are covered in other categories anyway. 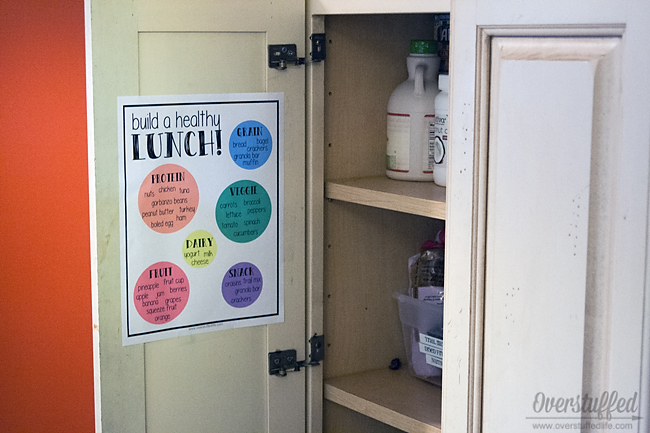 I hung the printable inside our pantry door. I'm hoping that as they make their sandwiches each day (if they make a sandwich), they will pay attention to what they are putting on it and realize that a turkey and cheese sandwich can have components of grain, protein, dairy, and veggies if they do it right! I hung it in the pantry so they have it for a quick and easy reference as they are making their lunches each night for the next school day. 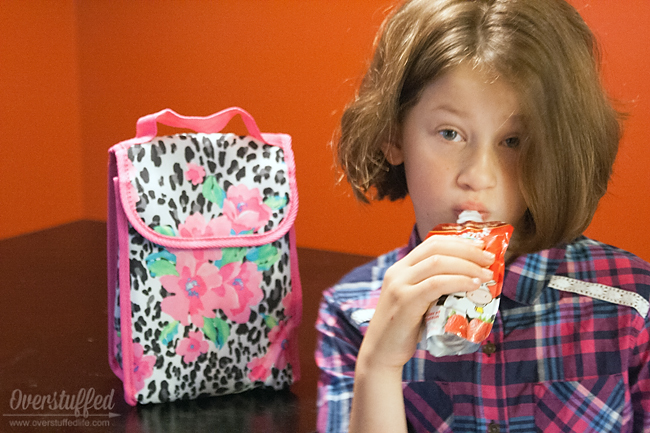 My kids really like to take the Horizon Organic Super Squeeze pouches in their lunches. 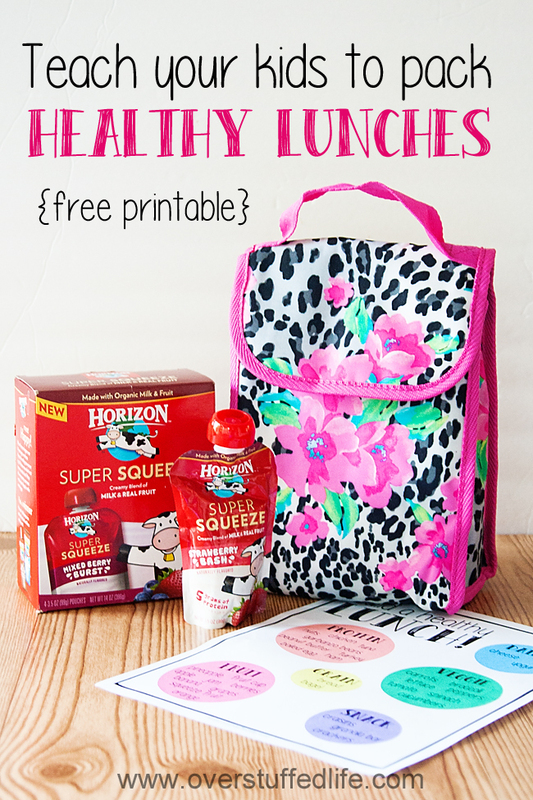 They are super easy to throw in their lunchboxes, and they are also super good. The girls like how they taste just like a fruit smoothie. I like how they are made with organic fruit and milk. 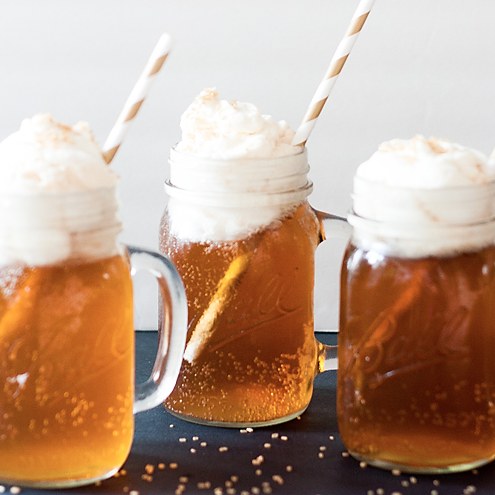 Plus, the kids can have a smoothie in their lunch without making a huge mess with the blender in the morning or risking it spilling in their lunchboxes. Win-win. 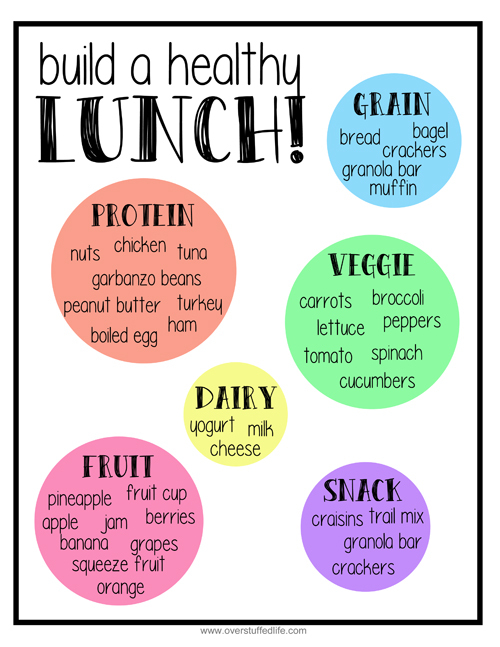 I'm really hoping that this idea will help my kids to think a little more about what they are putting in their lunches each day—and that they don't come home starving to death because all they packed for lunch that day was an apple and a piece of cheese!